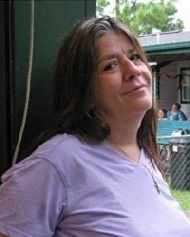 Lori Jo Armstrong obituary. Carnes Funeral Home. Lori Jo Armstrong, 55, went home to be with her Lord and Savior Jesus Christ on August 5, 2018. She was the loving and faithful wife of David Armstrong. They shared 32 years of marriage. Born in Texas City, Texas to Ronald Lynn Eldred and JoAnn Eldred, Lori spent most of her life as a stay at home mom and maw maw. From childhood and all through her life she had a love for singing and playing the piano. Lori often talked about the fond childhood memories of singing harmony with her brother and sister as her Daddy would sing along with them and play the guitar. She was later blessed by serving at the Hitchcock Baptist Chapel using her beautiful voice and playing the piano where her Daddy pastored. She attended Living Faith Assembly of God whenever possible to worship God along side family. Her biggest passions were time with The Lord reading His Word, praying and time with her family. Her heart’s joy was her grand babies. She’ll be most remembered for her passionate heart and her beautiful smiling face. She had such a great capacity for love. She was preceded in death by her Daddy, Ronald Lynn Eldred; brother, Ronald Lynn Eldred Jr.; grandparents, Milton and Estella Eldred (Ninney and Papa Eldred); and JW and Margaret Naron (Ninney and Papa Naron). She is survived by her spouse, David Armstrong; mother, JoAnn Eldred; children: Amy Michelle Silva and husband, Daniel; David Eric Armstrong and wife, Haley; and Cassie Ann Armstrong; (nephew), Joshua Lynn Eldred who was like a son to her; grandchildren: Layla Michelle Haynes, Benjamin Christopher Silva, Gabrielle Abigail Silva, David Braxton Armstrong, Zoe Faith Armstrong; beloved sister, Leslie Ann Randall and husband, Allen as well as many nieces and nephews who she loved so much. Visitation will be held Friday, August 9, 2018 at Carnes Funeral Home, 3100 Gulf Freeway, Texas City, TX from 6-8pm. The memorial service will be held at First Baptist Church Hitchcock, 6601 FM 2004 Rd, Hitchcock, TX Saturday at 10am with the graveside service immediately following at Grace Memorial Cemetery. Memorial donations in lieu of flowers may be made to the Carnes Funeral Home to go toward these unexpected expenses.